A pot in an elegant shape will grace the place with its presence. 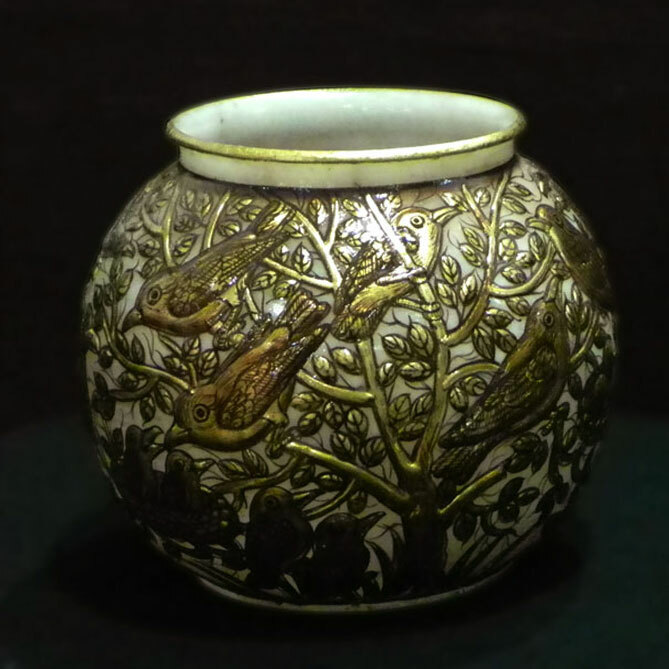 Embellished with pure gold leaf emboss work and intricate traditional pattern, the pot can be used for ornamentation . An attractive feature is the weight almost similar to milano ocean glass. An added decorative potential is that it can be used as a tea lite to glow the surroundings.